PRO Series Panels are available in three sizes: the LED500, LED1000, and LED2000. The LED500 is a 12” x 6” rectangular panel light with an ultra-compact and portable form-factor that make it suitable for a large variety of applications. 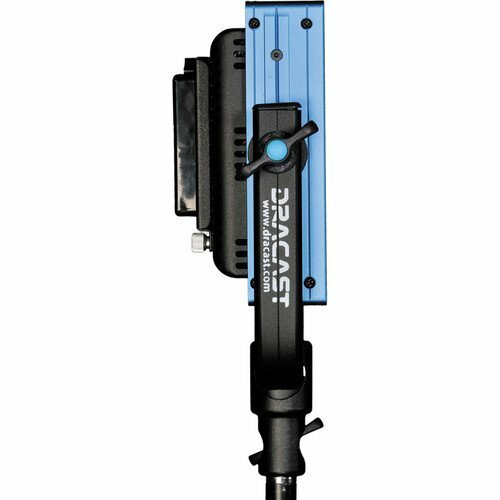 The LED1000 is a more familiar, traditional version, and the LED2000 is built for studios and other settings where very high output is a must. 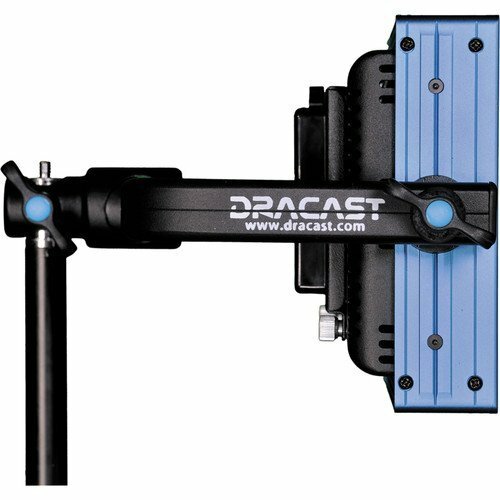 Like the PLUS and STUDIO Series from Dracast, the PRO Series is available in three color temperature models: 3200K (Tungsten), 5600K (Daylight), and 3200K – 5600K (Variable CCT). All three versions deliver continuous 0 – 100% dimming and excellent color rendition across the color spectrum. Additionally, PRO Series lights can be battery powered for field work and generate little to no heat, making them ideal when portability is a must. 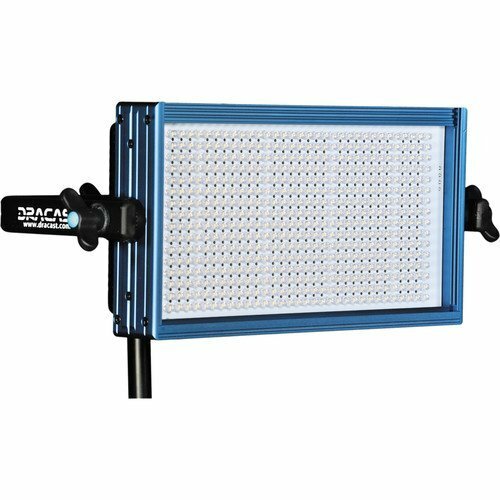 At 4 lb the LED500 Pro Daylight LED Light with V-Mount Battery Plate from Dracast is an ideal choice for the studio or location work where color accuracy, control and flicker-free output are of major importance. 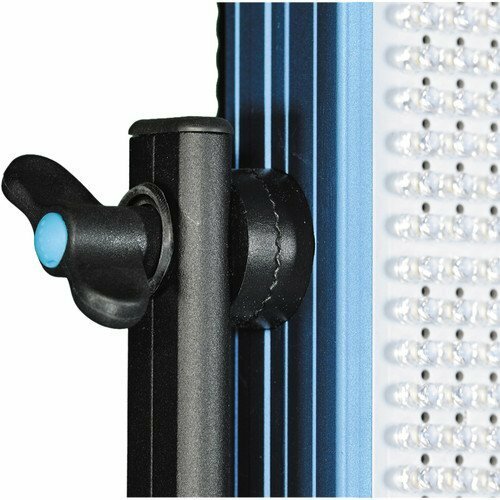 The LED500’s daylight balanced output is well suited for outdoor work or color matching HMI fixtures, while its high CRI of 95 renders colors with precision and fidelity. Dimming from 100-0% is conveniently done with a back-panel knob that adjusts the output with negligible color shift. The low electrical draw of just 30W means a timely return on your investment. 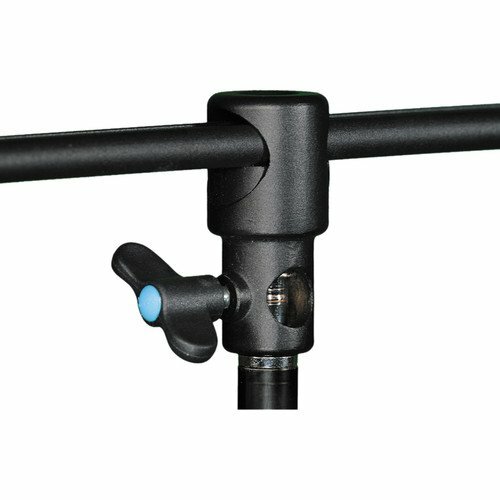 The durable anodized aluminum frame is supported by an sturdy, U-shaped yoke with locking knobs on each side and a standard 5/8″ receiver. 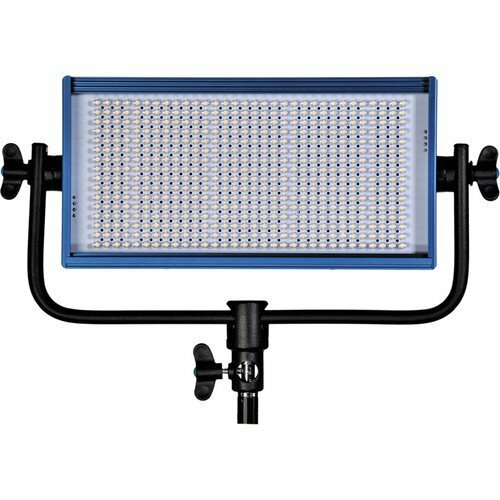 This LED500 can be used worldwide thanks to its included 100-240 VAC power adapter. 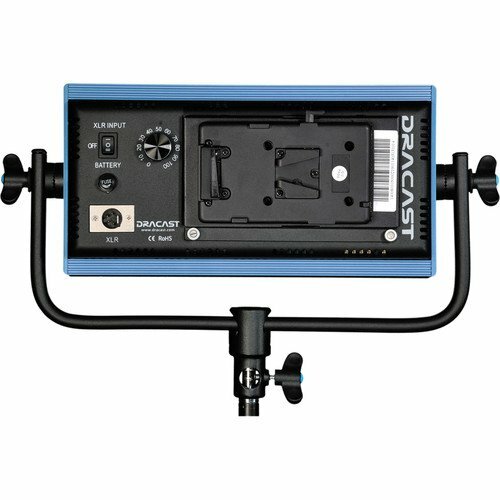 You can also use the onboard V-Mount battery plate with 14.8 VDC batteries when mains power is unavailable. Accessories include optional 4-way barndoors for contouring and control of the LED500’s 45-degree beam angle. 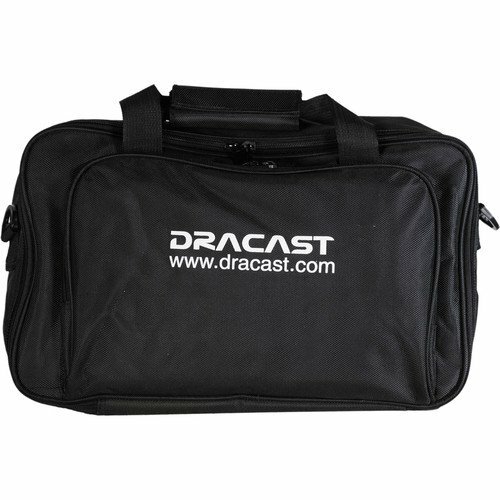 A carrying case is included.